The onion is one of the most popular vegetables worldwide, and with good reason. 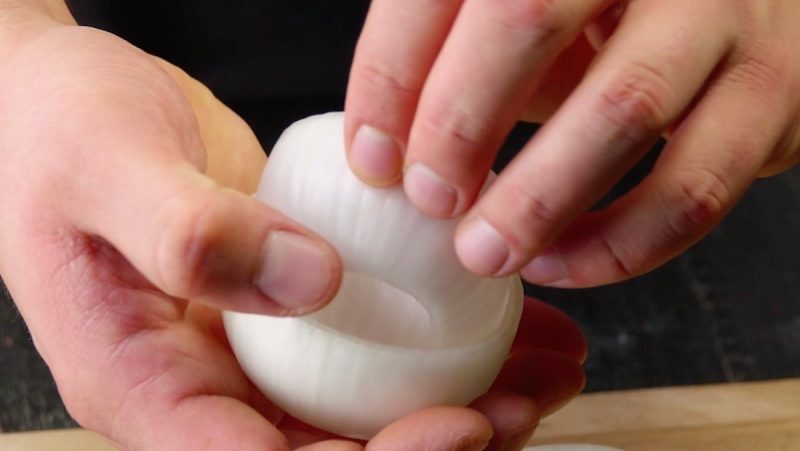 Onions are a lot more versatile than you think, and you always have them on hand, so why not go ahead and put that information to good use? 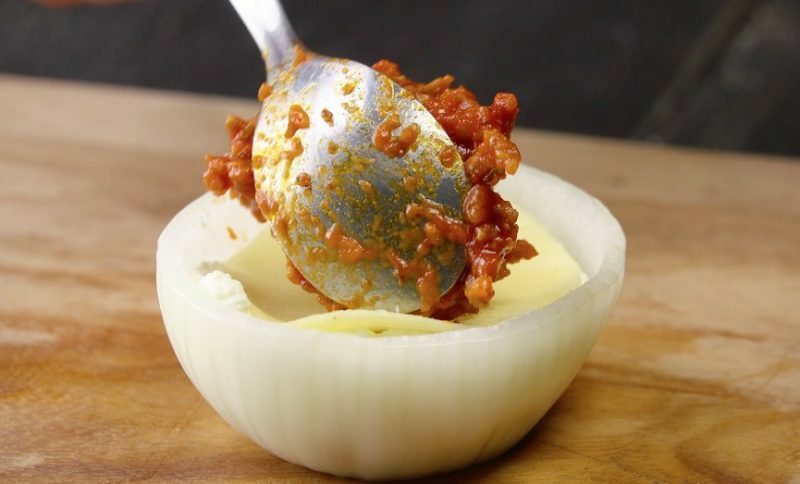 This recipe will show you how to upgrade onions from a standard side dish ingredient to a star of its own. 1. Cut the onions in half, take out the individual rings, and set them aside. 2. 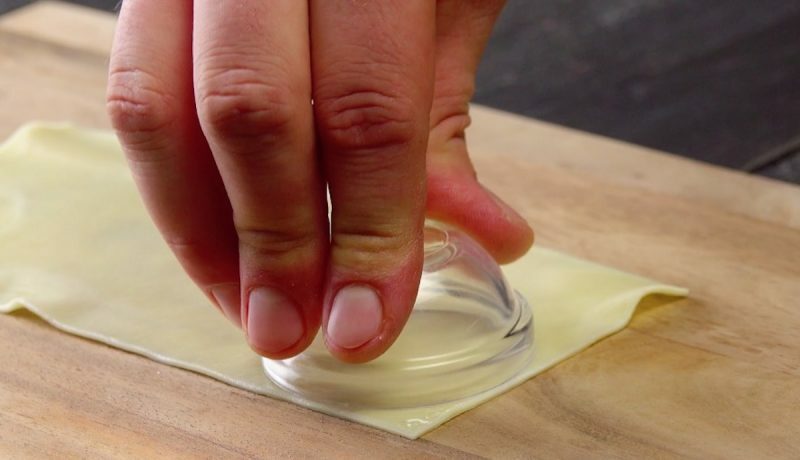 Get a small glass or bowl that is roughly the same diameter as the onion rings, and use it to cut out circles from the five precooked lasagna noodles. 3. 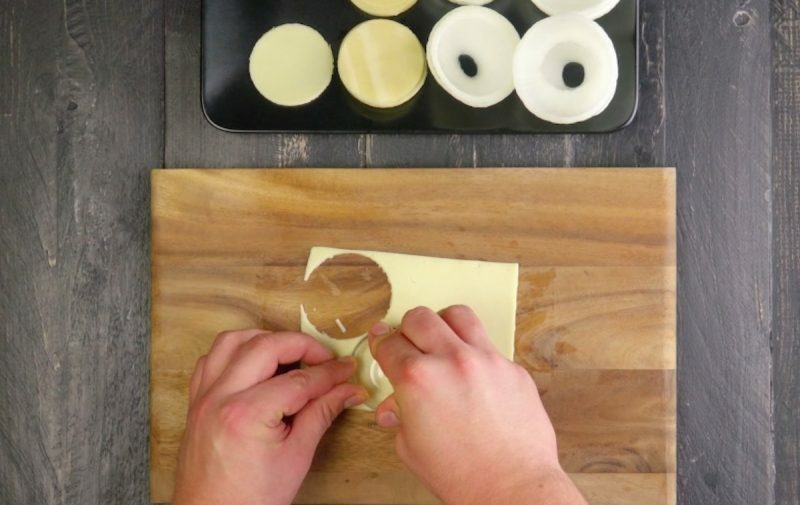 Use the same glass or bowl to cut out an equal number of circles from the cheese slices. 4. Take an onion ring and layer it with a lasagna noodle circle, bolognese sauce, cheese circle, and a spoonful of ricotta. Repeat this with the rest of the onion rings. 5. 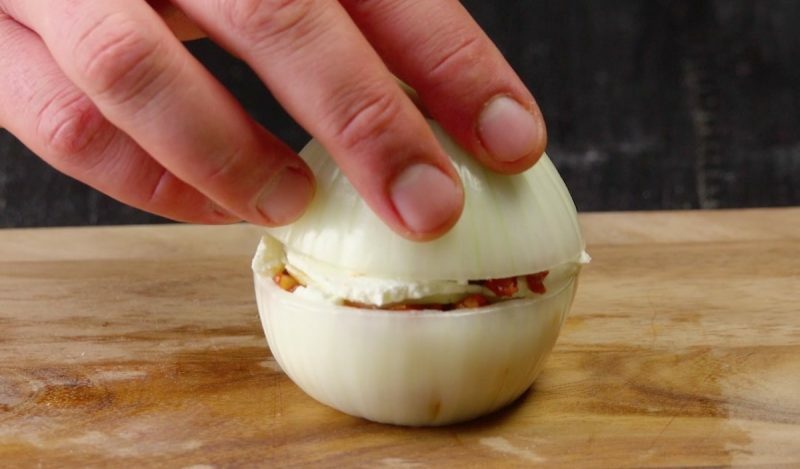 Put two of the stuffed onion halves together and repeat until all the lasagna onion bombs are assembled. Freeze the balls for 1 hour. 6. Bread the balls with flour, egg, and bread crumbs and fry them in hot oil (should be about 325°F) for 4 minutes or until golden brown. Sprinkle some parmesan cheese on top for a finishing touch. 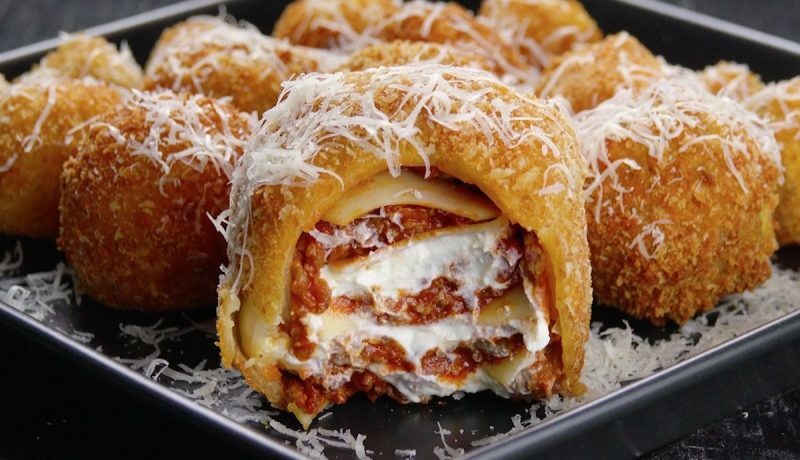 These perfectly round lasagna bombs make for a fabulous surprise with their crispy outer shell and creamy inner filling. Who knew something so small could pack such a big punch! You can find the recipe for the Meatball Lasagna featured in the bonus video here.